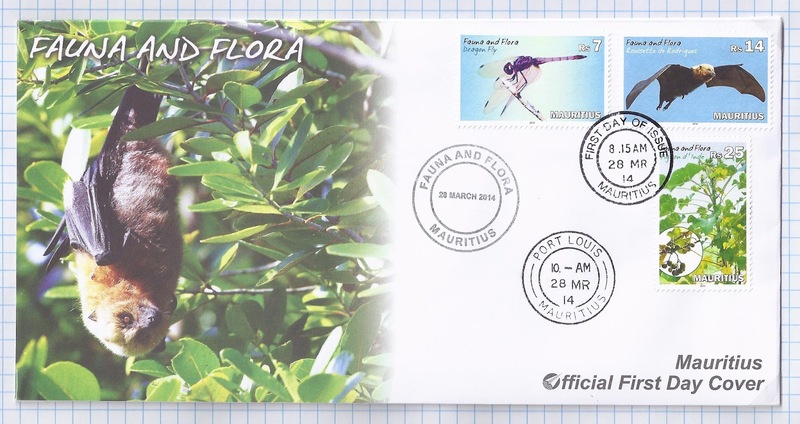 The Mauritius Post issued on 28 March 2014 a set of three stamps on the theme 'Fauna and Flora'. A dragonfly is an insect belonging to the order Odonata, the suborder Epiprocta or, in the strict sense, the infraorder Anisoptera. It is characterised by large multifaceted eyes, two pairs of strong transparent wings, and an elongated body. Dragonflies can sometimes be mistaken for damselflies, which are morphologically similar; however, adults can be differentiated by the fact that the wings of most dragonflies are held away from, and perpendicular to, the body when at rest. They possess six legs - like any other insect -, but most of them cannot walk well. Dragonflies are among the fastest flying insects in the world. Dragonflies are important predators that eat mosquitoes and other small insects like flies, bees, ants, wasps, and very rarely butterflies. They are usually found around marshes, lakes, ponds, streams, and wetlands since their larvae, known as 'nymphs', are aquatic. 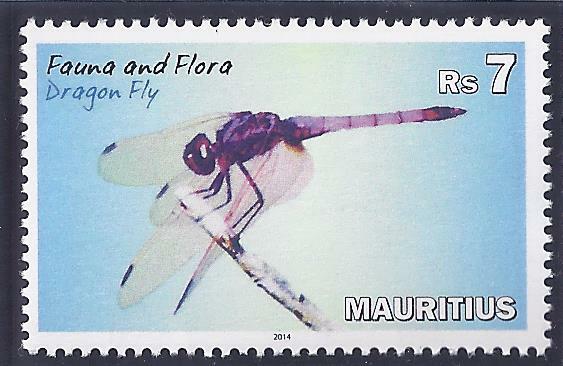 Some 5680 different species of dragonflies (Odonata) are known in the world today. Dragonfly is commonly known by its French name 'libellule' in Mauritius. The Rodrigues Fruit Bag also known as Roussette de Rodrigues previously common to Mauritius and Rodrigues is now restricted to Rodrigues only. It is often known as the Golden Fruit Bat due to the colour of its fur. 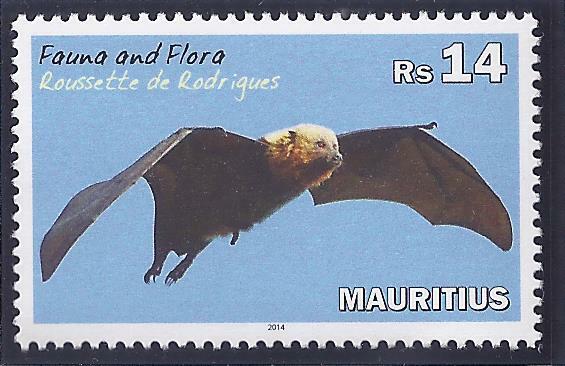 This bat is thought to numbered tens of thousands in pristine Rodrigues. However, the population dwindled to between 70 and 100 in the 1970s, when it was considered the rarest bat in the world. 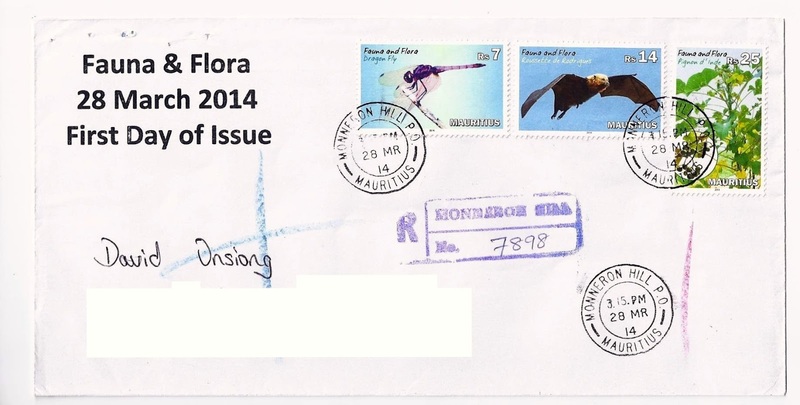 It has now recovered to around 10,000 largely due to increased forest cover and sensitisation efforts. 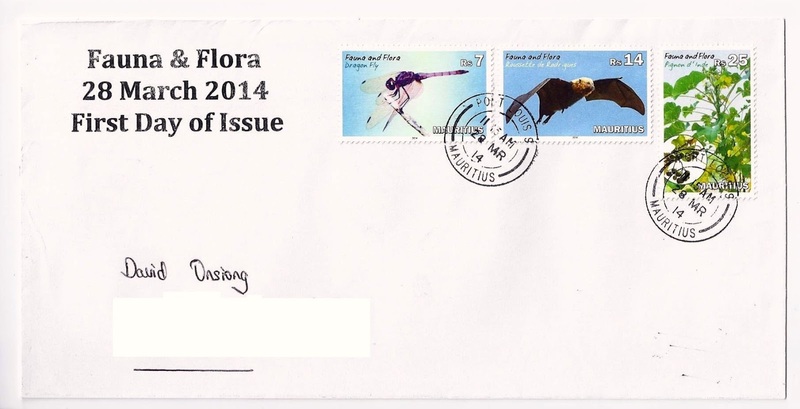 It is classified by the International Union for the Conservation of Nature (IUCN) as 'Critically Endangered'. The Rodrigues Fruit Bat relies on its sense of smell and large eyes that provide good vision in low light to locate fruiting trees. It faces threats from habitat loss and degradation, which increase its exposure to cyclones. Fairly comprehensive counts of bats are conducted at quarterly intervals and one of the dozen major roosts (Cascade Pigeon) is surveyed every two weeks. Declines in excess of 50% have been observed following intensive cyclones, but bats are able to recover in subsequent years if enough natural food and habitat are present. 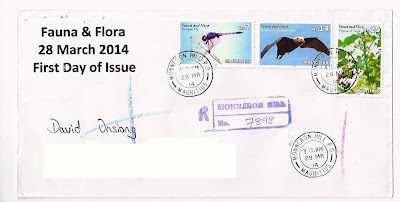 An education programme has raised awareness of the uniqueness and ecological importance of the Rodrigues Fruit Bat as seed dispersers and pollinators. The Rodrigues Fruit Bat conservation programme is considered as the most successful bat conservation project worldwide, and in 2013 grossed most votes of the Alliance for Zero Extinction's '7 Wonders' global poll, making the Rodrigues Fruit Bat conservation project number one. The Pignon D'inde is a robust tropical plant which can live beyond a year and is drought resistant. Originating from Central America, it may be classified as a shrub or a bush with soft grey bark and can reach heights between 3 and 5 metres and much higher in favourable climatic conditions. The leaves are pale green of three to five lobes of phytotaxey spirals. The length of the petioles varies between 6 to 23 mm, the flowers emerge from the centre of the leaves. 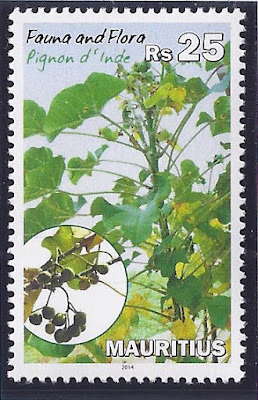 Besides being an ornamental plant with protuberant flowers, the Pignon D'Inde bears fruits which have a pleasant taste but contain toxic properties due to the presence of albuminoidal called curcin. Ingestion of the fruit can give rise to serious digestive problems. The leaves are known to have curative properties namely against angina, hemorrhage, rheumatism, piles, malaria and distended bowels. It is an antidote against the sting of the Stone Fish, a highly toxic fish.